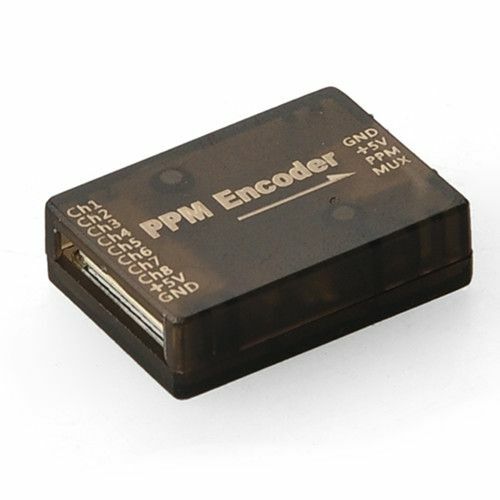 PPM encoder is the role of the receiver output of multiple channel PWM signal encoded into PPM composite signal output, single-wire connection to support the flight control. 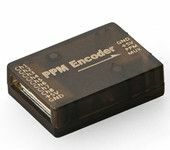 Many fly control In order to save port resources or layout constraints, only allow to connect PPM signal, which requires PPM encoder. Some of the receiver products on the market can directly output PPM signals, is the same meaning, such as Graupner. PPM signals can also be used for direct connection to simulator dogs for wireless simulation training. Please note: PPM signal and S.BUS., XBUS similar, are single-line transmission of all channel signals, but several different coding methods, and can not be compatible with each other. 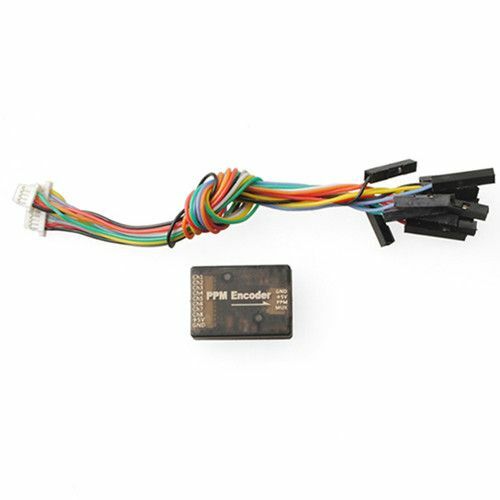 This PPM encoder hardware prototype comes from the PPZ PPM encoder, the default firmware for the development of 3DR, if you want to modify the function, please own ISP type programmer.